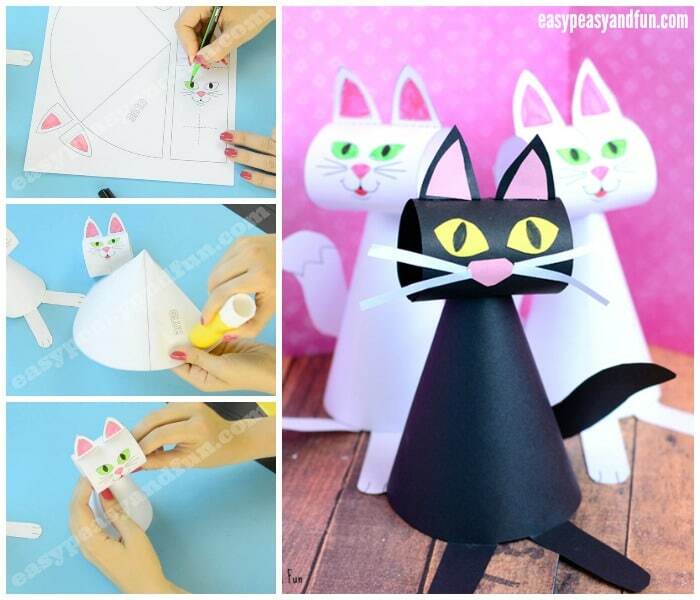 We do love a good cat craft idea here at Easy Peasy and Fun! 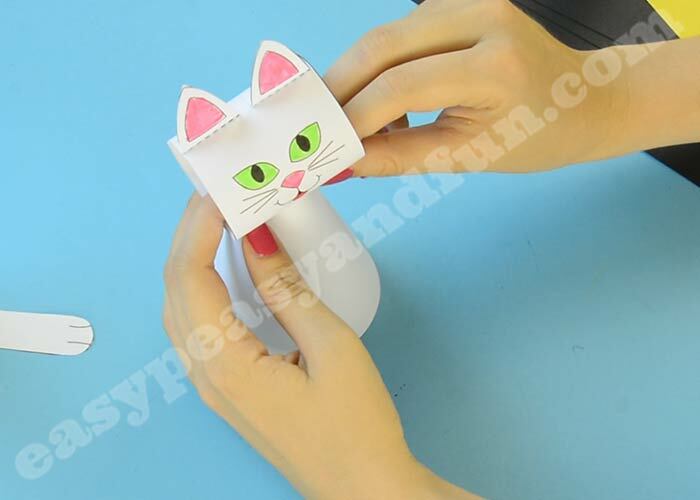 Grab this paper cat craft template and make an army of little kitty cats. Adorable. 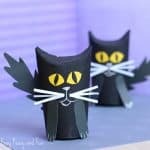 This craft idea is perfect for the spooky time of the year, but as cats are awesome all year round this one will be a fun project any time! As far as crafting “seasons” go, fall is one of my favorites as there is a nice variety of themes you can do. 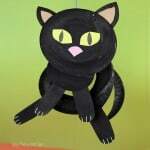 With Halloween near, black cat craft ideas certainly are on the menu and as a cat person, I couldn’t be more excited. 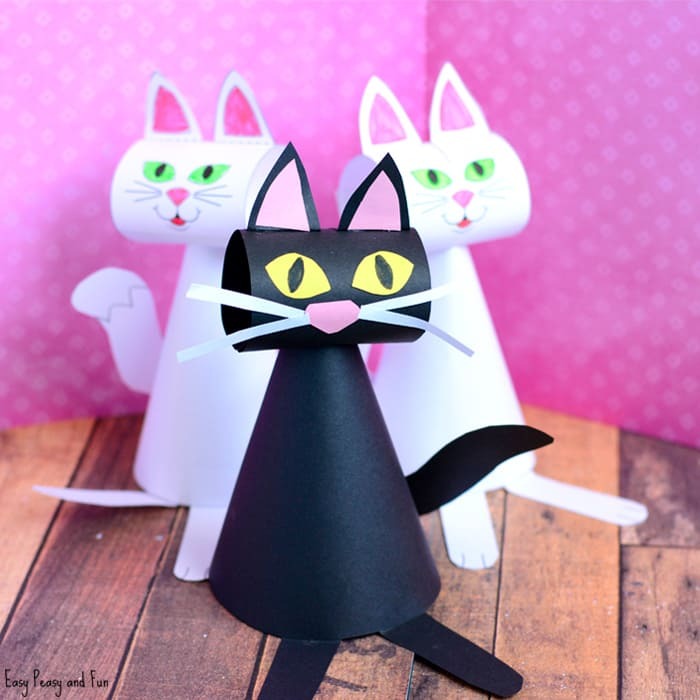 We are kicking off this years cat craft ideas with a simple and spooky cute cone paper cat that you can do with or without our printable cat template. 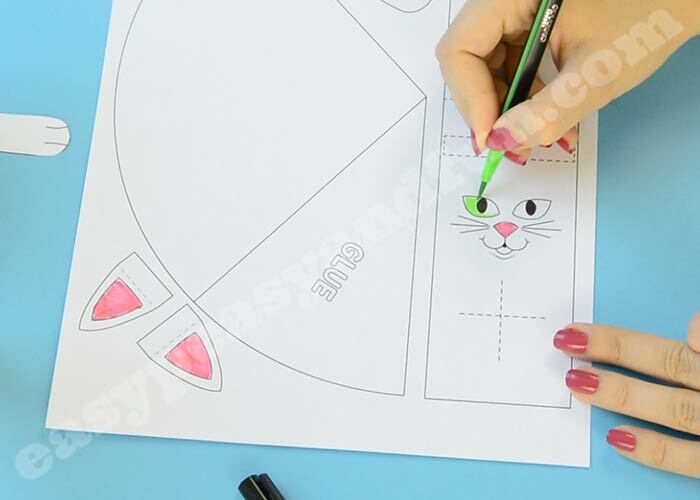 We made the template in a way that you can either use it as a color in template or as a stencil to make cats of colored paper (especially black cats!). 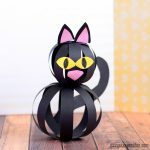 Your kids or you can decorate the cats in any way they want too (we would love to see a glitter cat – honestly cat eyes with some glitter would look amazing now that we think of it). 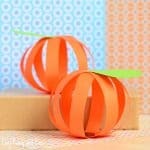 If you are planning your Halloween craft ideas, this one is certainly one to add to your list – both as a classroom craft or as one to make at home with your kids (or by yourself ;). Ready to make one or ten? 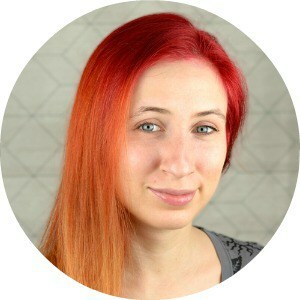 Let’s make them together! 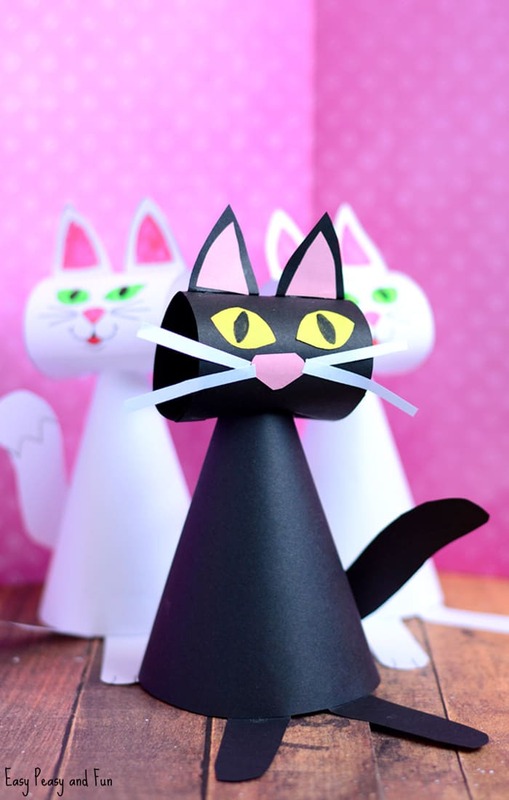 Print out the paper cat craft template (you can grab it at the end of this tutorial). If you will be coloring the template, we recommend you color it first. Cut out all the template parts. Take the head part and apply glue on the field marked with “glue”. Roll and glue together. Allow the glue to dry. There is a cross marked with dash lines on the head part. Cut along the dashed lines. Glue on the ears on the head (fold along the dashed lines). Glue them on the dashed lines squares on the head. Take the body part and make a cone out of it. 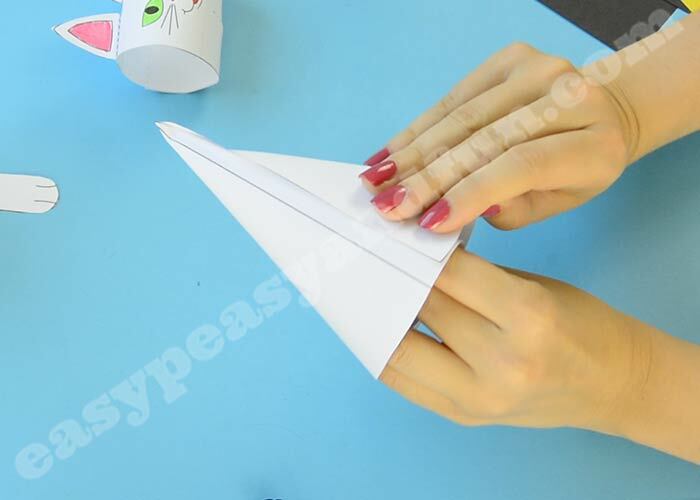 Apply glue on the area marked with “glue”, roll together in a cone and allow the glue to set. 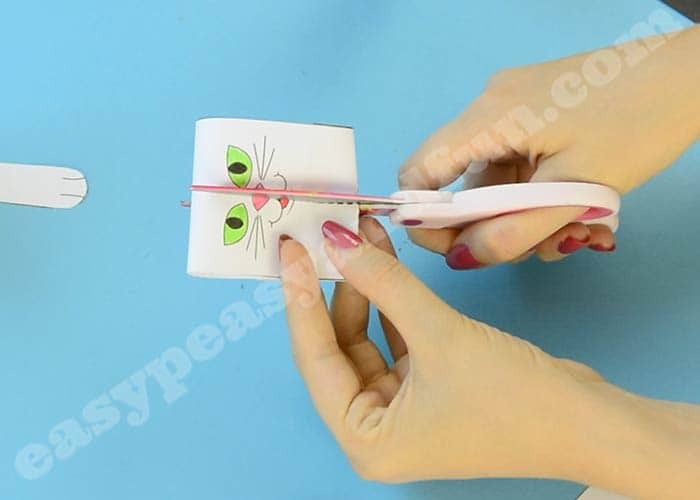 Apply glue on the head area, on the dashed cross area. Place the head on the cone and push it down – the glue will set it in place. Now it’s time to do some cat decorating! Stick the cat tail on the back of your cone cat. All done! 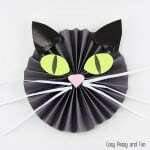 You have made a wonderful cat paper craft! 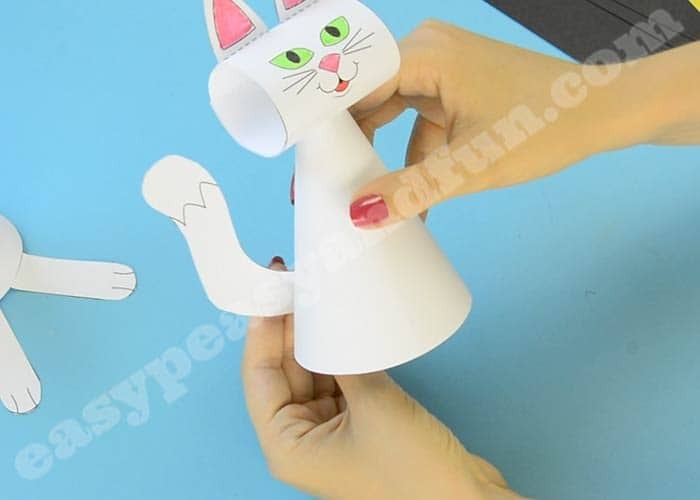 I hope you will enjoy using our paper cat craft template over and over again, creating all kinds of wonderful cats. HI! I really loved it! I did this funny cat with my studentes. I was great.